Women Fight For Your Rights -- I Also Aborted. This sticker shows a variety of red circles against a tan background. Inside the circles are various feminist symbols such as the venus symbol, a star, a speaker phone and a clenched fist. 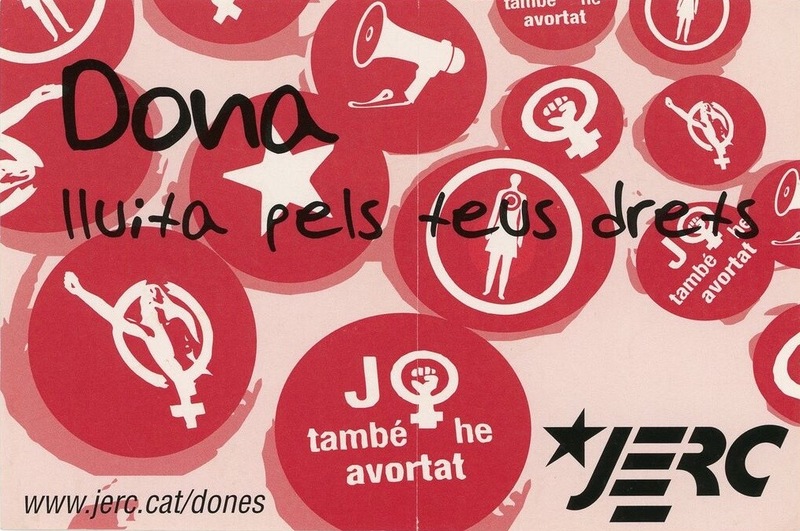 The message of the sticker is clear, advocating for the rights of women and freedom of abortion.